An Initial Public Offering (IPO) is the first sale of stocksStockWhat is a stock? An individual who owns stock in a company is called a shareholder and is eligible to claim part of the company’s residual assets and earnings (should the company ever be dissolved). The terms "stock", "shares", and "equity" are used interchangeably. issued by a company to the public. Prior to an IPO, a company is considered a private company, usually with a small number of investors (founders, friends, families, and business investors such as venture capitalistsVenture CapitalVenture capital is a form of financing that provides funds to early stage, emerging companies with high growth potential, in exchange for equity or an or angel investorsAngel InvestorAn angel investor is a person or company that provides capital for start-up businesses in exchange for ownership equity or convertible debt. They may provide a one-time investment or an ongoing capital injection to help the business move through the difficult early stages). When a company goes through an IPO, the general public is able to buy shares and own a portion of the company for the first time. An IPO is often referred to as “going public” and the underwriting process is typically led by an investment bankIBD - Investment Banking DivisionIBD is an acronym for the Investment Banking Division within the overall investment bank. IBD has responsibility for working with corporations, institutions, and governments to carry out capital raising (underwriting in equity, debt, and hybrid markets) as well as for executing mergers and acquisitions. Companies that are looking to grow often use an Initial Public Offering to raise capital. The biggest advantage of an IPO is the additional capital raised. The capital raised can be used to buy additional property, plant and equipmentPP&E (Property, Plant and Equipment)PP&E (Property, Plant, and Equipment) is one of the core non-current assets found on the balance sheet. PP&E is impacted by Capex, Depreciation and Acquisitions/Dispositions of fixed assets. These assets play a key part in the financial planning and analysis of a company’s operations and future expenditures (PPE), fund research and development (R&D), expand, or pay off existing debt. There is also an increased awareness of a company through an IPO, which typically generates a wave of potential new customers. In addition, private investors/founding partners/venture capitalists can use an IPO as an exit strategy. For example, when Facebook went public, Mark Zuckerberg sold nearly 31 million shares worth US$1.1 billion. A public offering is one of the most common ways venture capitalists make a significant amount of money. 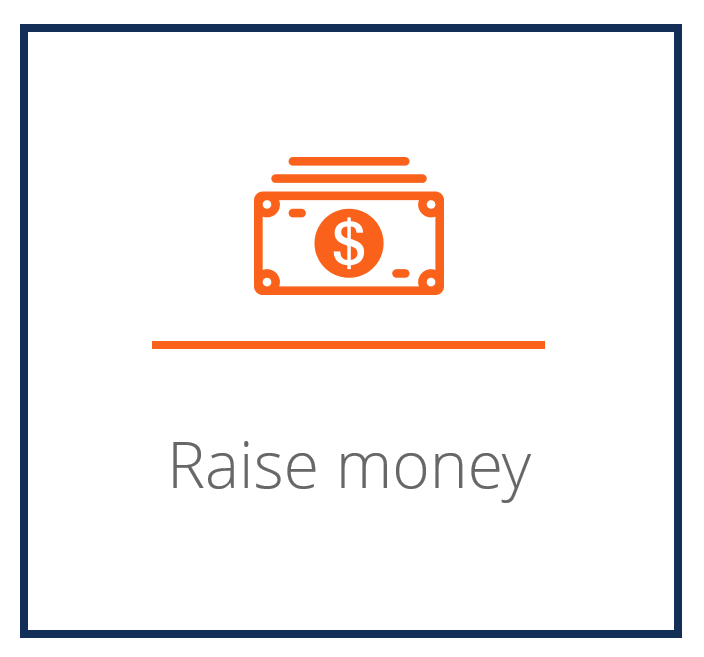 The top reason to go public… to raise money! The first step in an Initial Public Offering is to hire an investment bank, or banks, to handle the IPO. Investment banks can either work together, with one taking the lead, or work alone. Next, everyone involved in the IPO – the management team, auditors, accountants, the underwriting banks, lawyers, and Securities and Exchange Commission (SEC) experts – attend a meeting to discuss the offering and determine the timing of the filing. Similar meetings happen throughout the entire underwriting process. After the meeting, due diligence is required to be conducted on the company to make sure the registration statements are accurate. Tasks include market due diligence, legal and IP due diligence, financial and tax due diligence. The end result of the due diligence is the S-1 Registration Statement. The information in the statement includes historical financial statements, key data, company overview, risk factors, and more. A pre-IPO analyst meeting is held after the S-1 Registration Statement is filed to educate bankers and analysts about the company. Bankers and analysts are also briefed on how to sell the company to investors. A preliminary prospectus can also be drafted. Pre-marketing is conducted to determine whether institutional investors like the sector and the company, and the price they would pay per share. In conjunction with the internal valuation, a price range for the offering is set by the banks. The S-1 Registration Statement is amended with the price range. After the pre-marketing work and S-1 Registration Statement is completed, the management team travels around the world to meet with investors and market the company. This is a very important process as orders for the number of shares by investors and the price they are willing to pay are determined. The price range may be further revised. The management team will meet with the investment banks to decide on the final price of the deal based on the orders. If there are a lot of orders (oversubscribed), the company will price the shares higher. Once the IPO is priced, the investment banks will allocate shares to investors and the stock will start trading in the primary market for the public to buy and sell. Although there are benefits of going public, there are notable drawbacks to consider as well. 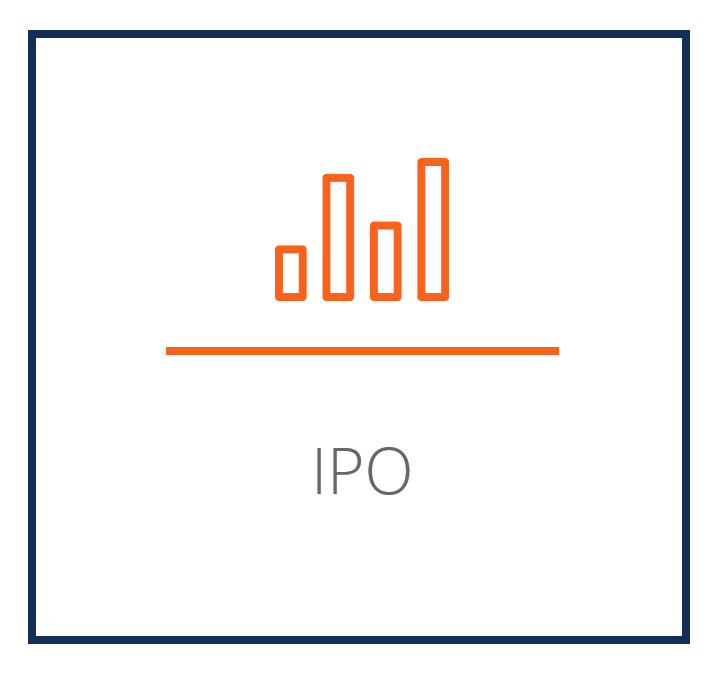 An Initial Public Offering (IPO) can take anywhere from six months to a year. During this time, the management team of the company is likely focused on the IPO, creating a potential for other areas of the business to suffer. In the United States, public companies are monitored by the Securities and Exchange Commission (SEC). Public companies are made up of thousands of shareholders and are subject to rules and regulations. A board of directors must be formed and auditable financial and accounting information must be provided quarterly. Going public is an expensive process, which is why, historically, only private companies with strong fundamentals and high profitability potential go through an IPO. Lastly, the information of a public company is readily available online, which may be useful to competitors. Investment bankersWhat do Investment Bankers do?What do Investment Bankers do? Investment bankers can work 100 hours a week performing research, financial modeling & building presentations. Although it features some of the most coveted and financially rewarding positions in the banking industry, investment banking is also one of the most challenging and difficult career paths, Guide to IB spend a lot of time trying to value the company going public. Ultimately it will be the investors who decide what the company is worth when they decide to participate in the offering and when they buy/sell shares after it starts trading on the exchange. By combining these three methods, bankers are able to triangulate on what they think is a reasonable value an investor would be willing to pay for the business. Valuation can be more of an art than a science, and for this reason, many IPOs have a lot of volatility in their first few days of trading. 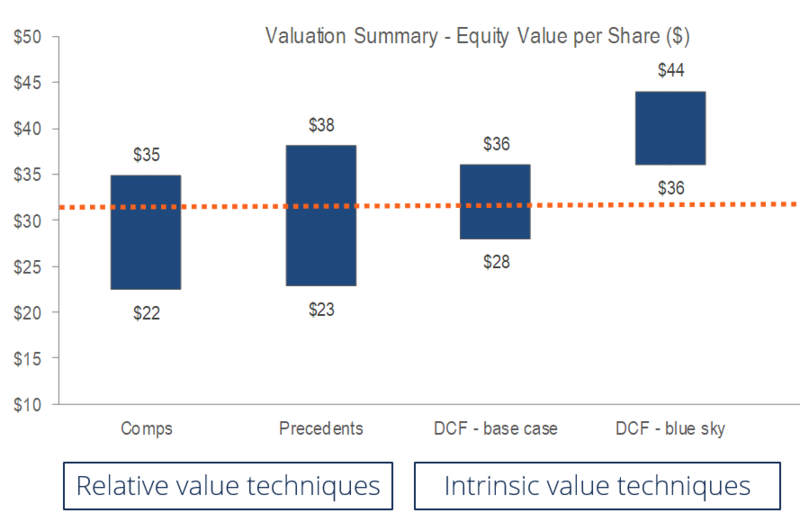 To learn more, check out CFI’s business valuation techniques course. Underwriting a public offering can be disastrous for a company. Assume Company A prices its one-million share IPO at $20 a share. If the shares end up trading at $40 a share, this would indicate that Company A received $20 million (1 million * $20) when it could’ve made $40 million (1 million * $40) if the IPO was not underpriced. Assume there are two categories of investors who invest in an IPO – insiders and the rest of the market (outsiders). Insiders know the actual value of the company and would stay away if it is overpriced. If the IPO is underpriced, insiders will purchase the shares. If the IPO is underpriced, everyone would buy shares. If the IPO is overpriced, the insiders won’t buy. Knowing this, the outsiders will also not buy into the offering. Thus, it is in the best interest of the issuer and its bank to underprice the offering.